A laser cut louver panels designed for the Honda S2000. These vents were specifically intended for S2000 with wide body front fenders but will also fit with OEM fenders. Ever see a Lemans car with the tops of the fenders vented? Air builds up in the wheel wells causing a high pressure area that reduces airflow from the front of the car and causes lift on the front end. These will improve the pressure differential across the front end of the car and vent the fender well. 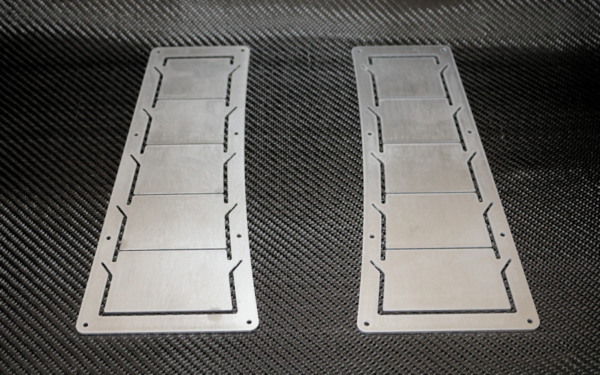 Two laser cut aluminum louver panels with pressed in PEM studs.